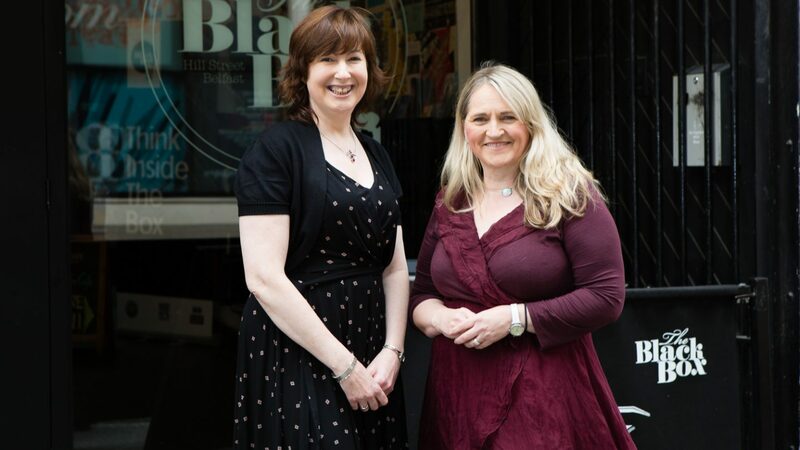 Belfast International Arts Festival Artists in Residence, Deirdre Cartmill and Maria McManus, are bringing poetry to the streets this October with a brand-new initiative to Northern Ireland, Poetry Jukebox. The Poetry Jukebox will open at the Crescent Arts Centre on the 12th of October as part of the 2017 Belfast International Arts Festival, and remain a permanent and accessible asset to those who want to hear new Irish poetry in a unique way. A funnel speaker will play host to 20 original poems from a variety of writers living in Ireland, where at the push of a button the listener will be swept away with recordings of talented local artists. “We want to open minds and hearts with the power and intensity and gentleness of poetry. The things that are currently unspeakable or unspoken in public spaces are gentle, they are loving, they are beautiful, profound and life-affirming. The things that are most loudly spoken are often messages of hate, racism, bigotry, separation and despondency. Belfast International Arts Festival Director, Richard Wakely, is thrilled to be working with the two incredibly talented local artists. Poetry Jukebox is giving people the opportunity to unexpectedly encounter poetry, with a chance to lift them out of their ordinary life for a moment and transport them elsewhere, to inspire them, to let them connect with something deeper and to gently challenge them and let them glimpse a different way of being. Members of the public have the chance to get directly involved and invest in Poetry Jukebox, to see this project develop and reach a wider audience.